What can i do to get more involevment in my group? I have a group, solving the problem, about pet overpopulation and NO ONE will respond to my threads or messages or anything! at this rate we will never 'Solve The Problem'. I dont understand, am i boring, is my cause not important, why cant i get group involement. If you have any ideas PLEASE tell me. I know what you mean! I "inherited" four five-month old kittens toward the end of October. I have spent gas and time getting them neutered, spayed and their kitten shots and also put an ad in the paper to the tune of forty dollars for a whole month. Nobody has come to claim any of my kitties. They are pure black with yellow and copper eyes; one is black and white and a very cute tuxedo cat. I am not rich at all. My heart just would not allow me to ignore their plight after being dumped in my neighborhood. I was afraid the guy next door (who doesn't like cats) was going to shoot them to get rid of them. They are all very sweet cats & don't know how someone could just throw them away to die! Perhaps you could run some type of Contest? Best ideas on how to help with getting the word out on Spay/Neutering? Support Trap/Neuter/Return? Maybe a contest for a campaign slogan, or a poster? It's hard because there are so many groups on Catster, you can't keep up with them all. So you really need something people will be enthusiastic and want to do something about. Spurring participation isn't always something you can force. Sometimes it takes while for things to grow and reach a critical mass. These things takes a while to build Perhaps engage with kitties in other parts of the site or invite people outside of Catster to join your group. But don't give up on it ;> In a couple months it could be very different. I am having the same problem with my goup. I have even sent out group pmails saying to just respond and they'll get a rossette and no one has responded! 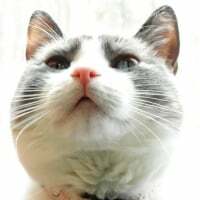 I would say invite cats that are new to catster and when they join send them a message that welcomes them to the new group. you can also try making membership cards if you have a photo program.